Training Units are ideal for organizations or individuals who want to purchase training units up front and enroll when they identify a training need. 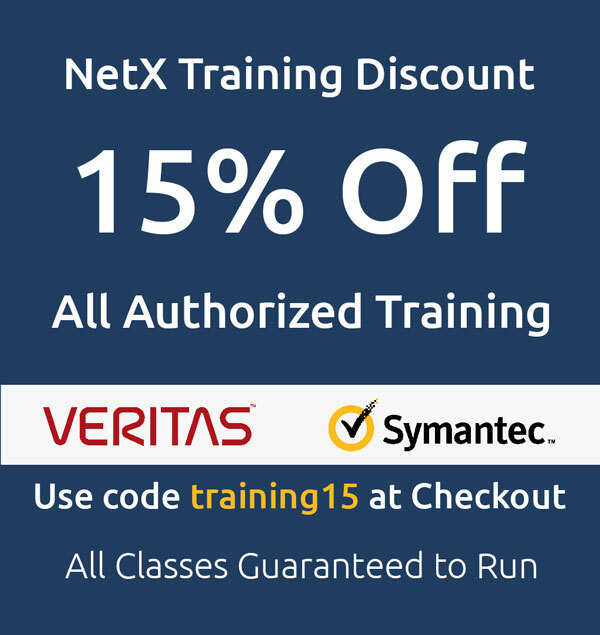 Customers can redeem units for training from Veritas and Veritas Authorized Training Partners as their training needs arise. Maximize the impact of Veritas classroom and on-site training for your organization with our value-packed Education Training Units buying program, a simple purchase option that allows you to make a single purchase of training units for use throughout the year as educational needs arise. The Education Training Units program works like a pre-paid debit card—you purchase as many units as you need in a single transaction then use those units within one year for any Veritas Education Services offering, including Instructor-Led Training (ILT), Virtual Instructor-Led Training (VILT), Veritas Learning Lab, and private, custom training courses. This simple program allows you to purchase as little or as much training as you need to meet your business and education demands. Flexibility - Units can be redeemed for all Education Services offerings, including classroom, onsite, virtual, and certification exams. Organization-wide Redemption - Units can be used by anyone within the organization. Enhanced Tracking - Online tracking allows for management of your Training Unit balances and future planning around your training needs. Global Usage - Units are standardized globally so they can be used for any Veritas Education Services offerings throughout the world, regardless of which currency they were purchased in.